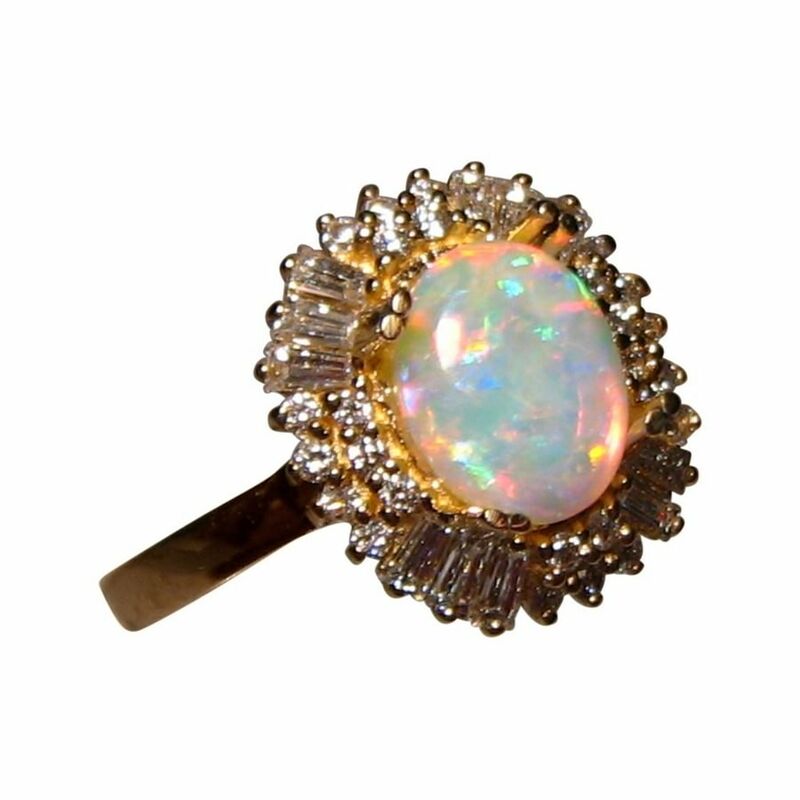 An Opal ring that is very bright with an oval Crystal Opal displaying fiery colors accented with round and baguette Diamonds in 14k Gold. In stock and ready to ship. 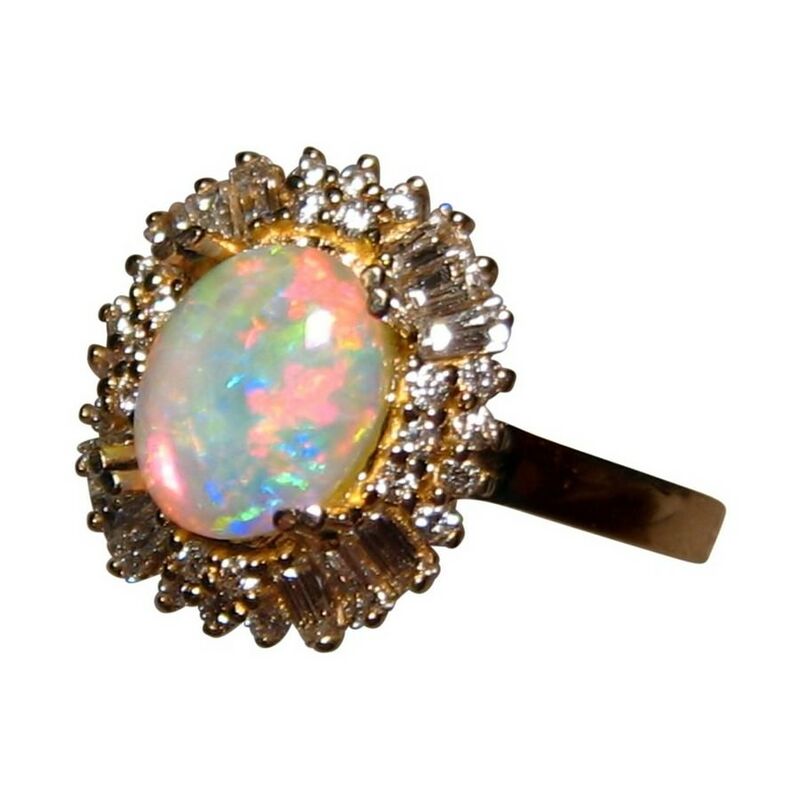 This stunning Opal and Diamond ring features a Gem Coober Pedy Crystal Opal which is accented with two rows of round Diamonds and baguette Diamonds on each corner adding plenty of sparkle and size to the ring. 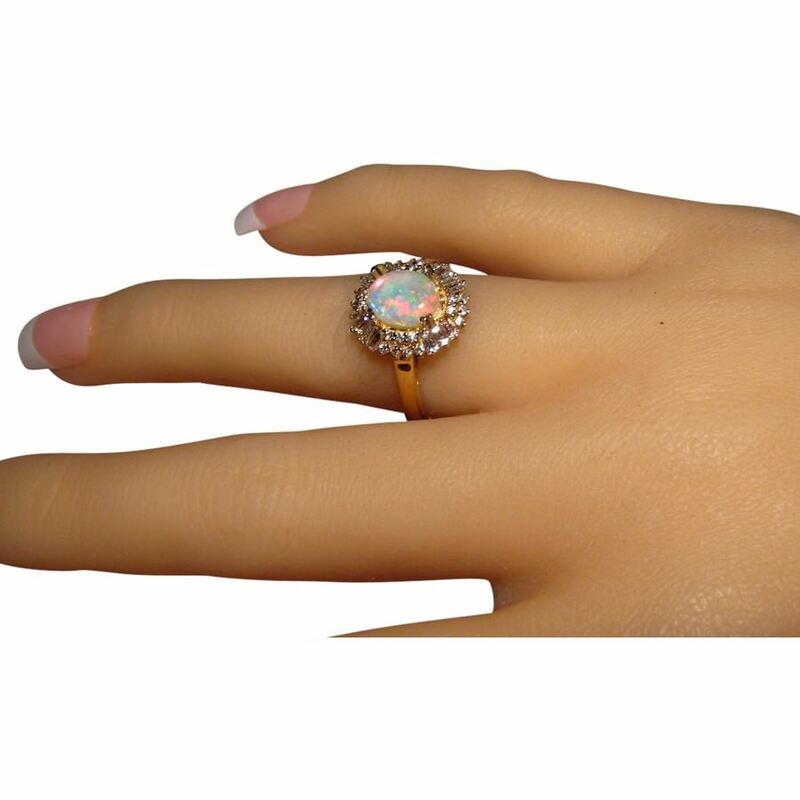 Fiery colors of Red and Yellow dominate the stone with a little Green flashing and the video below will show the brightness and beautiful play of color. 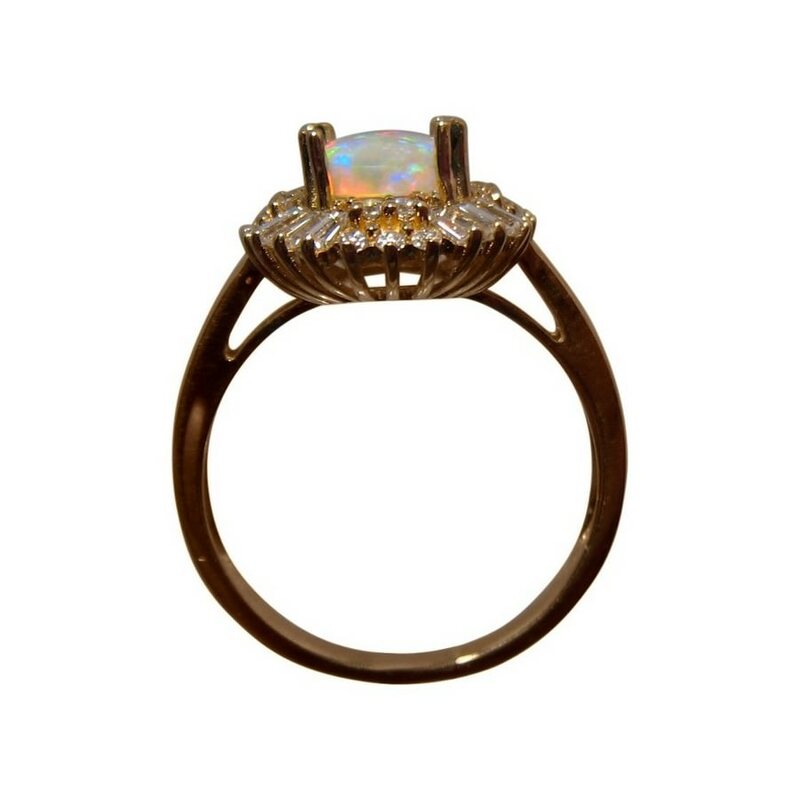 The Opal is shown in a 14k Yellow Gold ring setting in size 7 ¼ however as the Opal is not yet secured, the ring can be made in White or Rose Gold and in any ring size and will take about 14-21 days to make before shipping. 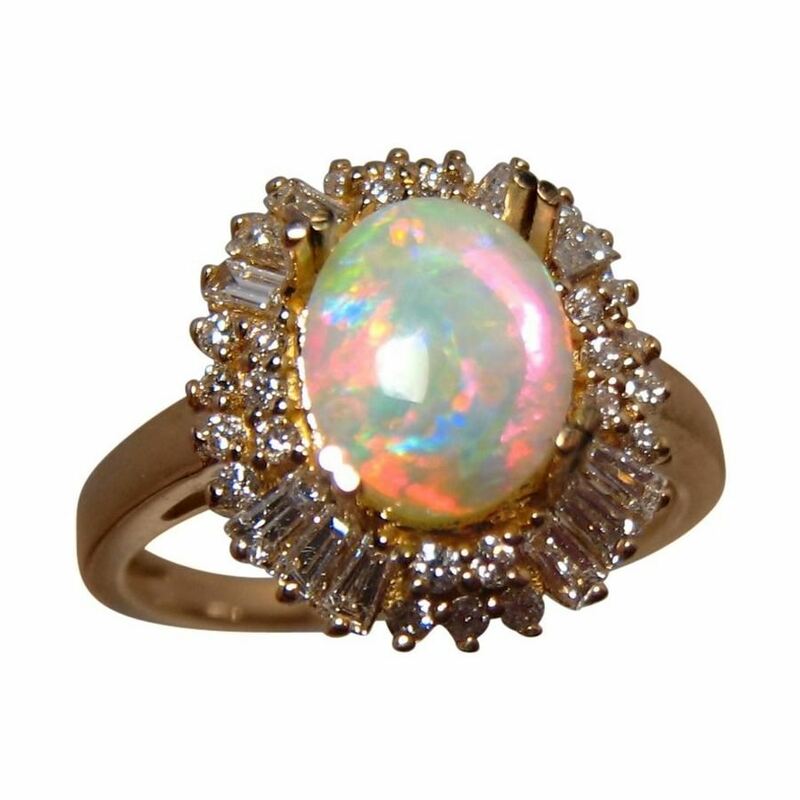 If the ring style is not appealing to you, the Opal can be mounted into a different setting and you can contact through the link above for assistance and a no obligation quote. .